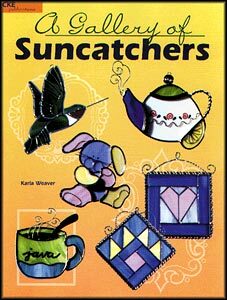 Full-size patterns and clear instructions to make over 50 beautiful suncatchers. Create quick gifts or window hangings with designs that Include flowers, fruit, Southwest, birds, animals, crosses and more. Color photos throughout. 36 pages. This book provides designs for plant spikes, ornaments, and suncatchers based on actual butterflies. The full-size patterns are provided in three different sizes. Stained glass color suggestions and instructions are also included.